These pretzels are easy to make, freeze well, and can be made in the traditional shape, pretzel bites, twists or even a wreath! The traditional shape takes up a lot of space on the baking pan, which means you have to bake them in batches. Twists or bites can fit more per pan, so they take less time to prepare. Combine warm water with yeast in a small bowl or glass. Let stand for 5 minutes. Combine 2 3/4 cups flour, sugar, and salt in a large bowl. Add yeast mixture to flour mixture. Stirring or mixing with your hands to bring dough together, add 1/4 cup more flour, as needed to prevent sticking. Sprinkle work surface with flour and knead dough until smooth and elastic. Divide dough into 12 equal pieces. Roll into 15-inch long ropes. Shape into a pretzel twist (or a pretzel stick, then cut it into bite sized pieces). 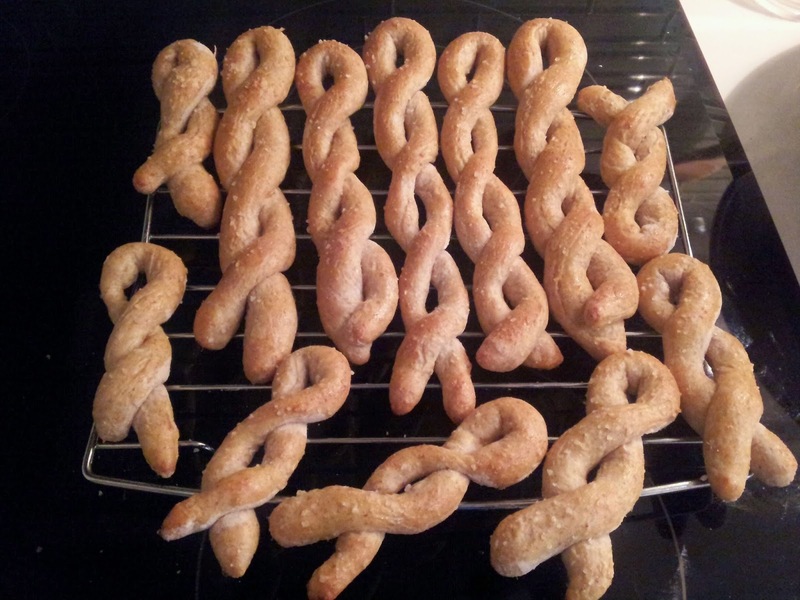 Place pretzels on a greased pan, then brush each pretzel with egg wash and sprinkle with sea salt. Bake until golden brown, about 15 minutes. 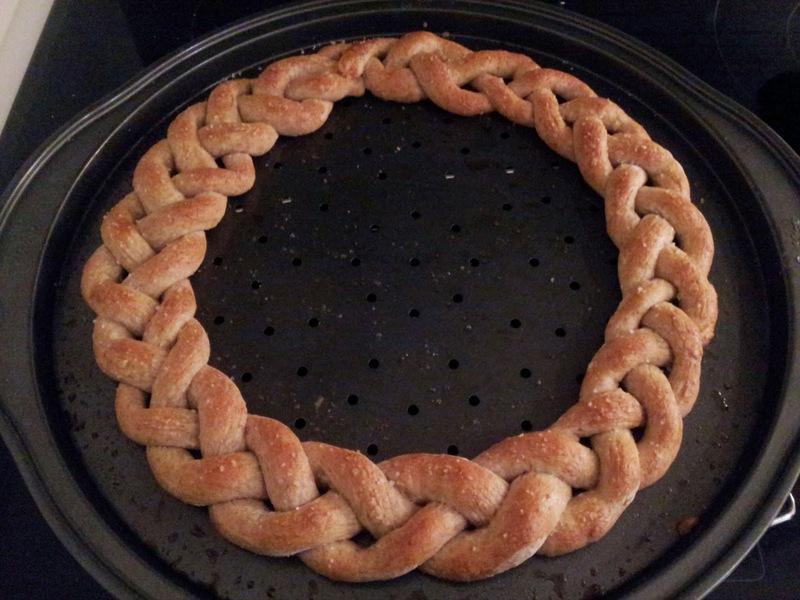 For wreath: Divide dough into 3 equal pieces. Roll into 3 1/2 foot long ropes, working section by section. Using a large round pan, place the three ropes onto the pan and link them together, pinching them at the end. Loosely braid, leaving even spaces between ropes. Work your way around, braiding in a circle. At the end of the circle, connect the pinched links to the ends. Brush the wreath with egg wash and sprinkle with sea salt. Bake on the top rack for 15 minutes. These look amazing. Also, I love that they are whole wheat. I can't wait to try this recipe! !